Good news! 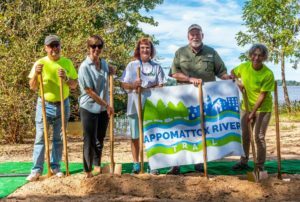 The pre-construction phase – final engineering design, environmental testing, and permitting – of the Hopewell Riverwalk section of the Appomattox River Trail is complete! 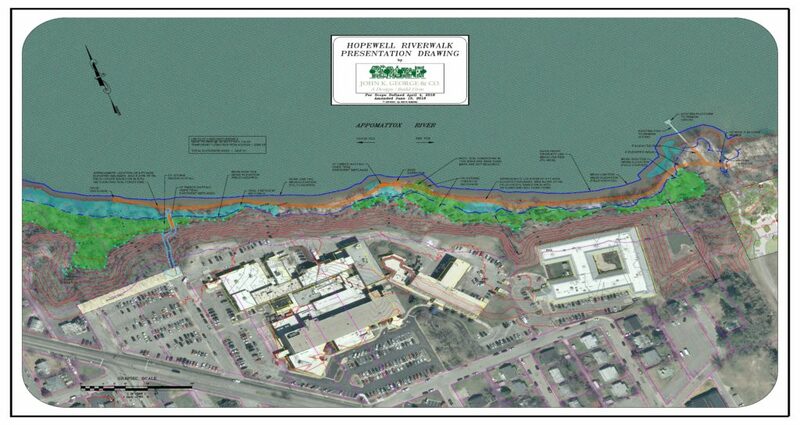 John K. George & Company will begin construction. 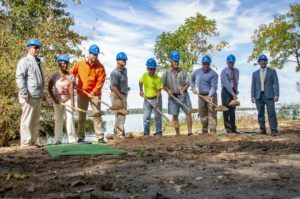 The Hopewell Department of Recreation and Parks hosted a groundbreaking ceremony for the Riverwalk on Friday, September 28, 2018 at City Park located at 205 Appomattox Street on the bank of the beautiful Appomattox River. Elected officials, City leaders and FOLAR representatives provided comments before officially breaking ground for the project. Staff was available to answer project questions following the ceremony.